I sat in the spiritualist church where I went every week. I rarely got a reading and didn't usually win the raffle either but I liked the people and the feeling of the building so I still carried on going. Tonight, however, I was lucky. The resident medium actually picked me out. “You talk to spirit people all the time”, she said. I agreed. Thankfully, in this environment that didn't sound odd. Most people here did. “You talk to them and you get an answer back”, she continued. This time I felt eyes burning into me. This had attracted the congregation’s interest and they were all looking at me. I felt my face flush with nervousness as I admitted it to her. This was an extremely personal piece of information and I’d never discussed it with anyone, not even my best friend.  If you've never experienced a psychic connection it can be easy to dismiss it as fantasy or even mental illness. Current medical and scientific understanding says that if a person hears voices, that means he is suffering from auditory hallucinations and is in need of psychiatric help. Science and medicine has little if any knowledge of intuition and the psychic experience. There are voices that aren't hallucinations and everyone is capable of tuning into them if they are open enough to having that experience.  You don’t have to be born psychic and if you know how, you can develop the skill to guide you in your everyday life or to assist others. I couldn't always hear the answer if I prayed. My ability began suddenly at the age of 13. I had a dream where our WC had flooded. Dismissing it at the usual nonsense that people dream about, I was shocked to my core when my mother breezed in and warned me not to use the bathroom because it was flooded and she had had to call out a plumber. My mouth fell open in surprise. It was that moment that I went from being an atheist to a believer in the afterlife. Despite being dragged to church every week by my God-fearing parents, I didn't believe any of it and thought when we die we just rot away and become fertilizer for flowers. That day I realized that I had known that an event was going to happen before it happened. I theorized that if I could foresee an event there must be an element of me that wasn't physical – that wasn't flesh and bone – and if that was the case, I must have a spirit. A blocked WC was the catalyst that led me to believe in the afterlife and in spiritual beings. After that point the dreams came thick and fast and they usually came true. After a few years I began to see dream-like images when awake. I had developed such a reputation for prediction that my own devoutly fundamentalist Christian mother came to me for advice on decisions she had to make. I saw my own wedding dress five years before I got married and before I met the groom. It was pink and extremely distinctive. I wrote the image down in my diary, then years later saw the same pink wedding dress in the window of a boutique. If babies were conceived, I knew about it and always knew the gender – even before the expectant mother did. I even knew when someone was going to get flu. Instead of being an in-built skill from early childhood, it was a skill that seemed to get stronger the older I got. By the time I was 26, I could hear spirit voices (I've had some shout ‘Can you hear me!? !’ so loudly that I jump and spill my cup of tea). When I reached my mid-30’s, I could hear answers to specific prayers or questions I had – an experience that has been deeply enriching to my life. If I couldn't connect to the spiritual side of myself I would feel empty and directionless. You too can harness the power of your intuition and the spirit world to better your life and those around you. Everyone dreams so even if you've had no spiritual experiences at all you can start with this. Buy a dream journal to record your dreams. If you can never remember them you will find the act of writing things down helpful in stimulating recall. You could also try affirmations and tell yourself ‘When I wake up I will remember my dream’. This instruction to your brain is often enough. Processing Dreams – These are merely collections of activities you have done during your day. Balancing Dreams – These dreams aim to balance you psychologically, so if you’re having a bad time you might dream of nice things to counter your waking reality. If you are worried or afraid of something, you may confront your fears (for instance, dreaming you’ll be fired when you’re having problems at work). Prophetic Dreams – These are dreams that show you glimpses of future events. They stand out from other dreams because they’re usually in full color, they have an ordered beginning, middle and end and they often contain a message. They are difficult to forget so even if you normally forget your dreams, a prophetic one will stick in your mind. In my case, materialization of the dream occurs anything from the day I dreamt it to five years later so keeping a diary is invaluable. When I get something that comes true, I write the date it happened in red pen underneath the original entry. Prophetic dreams are important because they can be used as a guide for you. For instance, so you remember to put your seat-belt on when you get in the car or switch off the oven before you leave the house. They can also advise if the person you’re dating is a love rat or the real thing. There are numerous ways you can use them as a road map for your life. Once you are used to using your dreams, you may find that you become ultra-sensitive to how the atmosphere feels (for instance, noticing temperature changes in the room or feeling as if you’re being watched when there’s no one there). A rippling sensation across the shoulders or back of the neck is thought of by some mediums to be a sign of a spirit being present). I get this whenever I am upset and have come to believe it is a relative trying to comfort me. Leaning on your spirituality can be very uplifting if you are stressed or depressed. The next step is to pay attention to all those cues around you. If a magazine headline catches your eye, the headline may be important. If you can’t stop humming a tune on the radio, pay attention to the lyrics. They may be a message. Sometimes they communicate via puns or word games. There’s really no such thing as a coincidence. Once you’re used to paying attention you could start seeing ‘dreams’ when you’re awake. These ‘day dreams’ are clairvoyant – seeing images psychically. They may present like full dreams or just fleeting images. You might also see writing or images of people when you shut your eyes briefly. People who aren't particularly psychic can often tap into this ability if they are very relaxed or meditating. Learning to recognise what different images mean to you can be useful – for instance, seeing a red traffic light means ‘stop’ and could be a warning against a current activity. If you’re drinking too much or struggling with addiction it could be the jolt you need to change your life. Seeing a green light could be your ‘green light’ to take your promotion or say yes to a proposal of marriage. Hearing spirit voices can follow all the other experiences. Often, they are heard like an inner thought – except the thought is totally out of context and interrupts your own thoughts. For instance, wondering what you will make for dinner and then thinking ‘I died of asthma’. These completely out of context thoughts are likely to be spiritual in nature. Sometimes voices can be heard as an external voice, similar to when you speak on the phone. With enough intuitition practice, you may be able to tune in to these voices when you need an answer to a problem so when you reach out for help, like I did, you will get it.